A number of TV and radio stations, which were closed down by the government in the aftermath of a failed coup attempt on July 15 due to their links to the Gülen movement, have been sold to the pro-government Turkuvaz Media Group without a tender, Cumhuriyet daily reported on Thursday. A total of 86 media outlets including TV and radio stations, newspapers, magazines and news agencies were closed by the government due to their links to the Gülen movement by a government decree following July 15 as the government accuses the movement of masterminding the coup attempt. The movement strongly denies the accusation. The government assigned the Savings Deposit Insurance Fund (TMSF) for the sales, which has already more than 809 seized companies under its control. 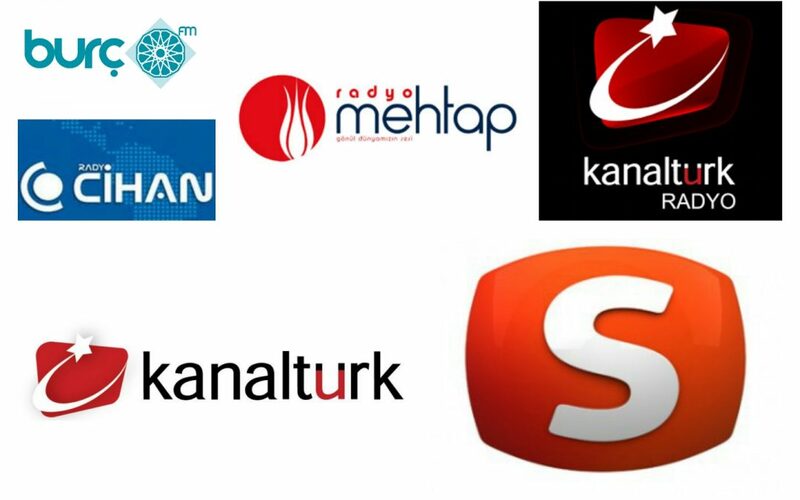 Cumhuriyet said, Turkuvaz has taken over Samanyolu and Kanaltürk TV stations as well as Burç FM, Kanaltürk Radyo, Radyo Mehtap and Radyo Cihan radio channels from TMSF. Serhat Albayrak, the brother of Erdoğan’s son-in-law Berat Albayrak, also the Energy Minister, act as Turkuvaz’s chairman and the conglomerate is owned by Erdoğan’s close friend, Ömer Faruk Kalyoncu. In 2004, then Prime Minister Recep Tayyip Erdoğan was a witness at Ömer’s wedding. Cumhuriyet said the remaining media outlets will also be sold with the same method.